The National Museum of the American Indian, New York. Photo: The Smithsonian. The board of the Andy Warhol Foundation for the Visual Arts has voted to lift its eight-year funding ban on the Smithsonian Institution. The foundation first proposed sanctions against the DC institution, comprising nineteen museums and the National Zoo, after the National Portrait Gallery caved to pressure from conservative lawmakers and the Catholic League, and removed David Wojnarowicz’s video A Fire in My Belly from the exhibition “Hide/Seek: Difference and Desire in American Portraiture” in 2010. At the time, Joel Wachs, president of the Andy Warhol Foundation, demanded that the work be returned. “Such blatant censorship is unconscionable,” he said. “It is inimical to everything the Smithsonian Institution should stand for, and everything the Andy Warhol Foundation does stand for.” When the work was not restored, the foundation board’s board unanimously decided to suspend funding for all Smithsonian museums. Commenting on the reasons behind lifting the ban, Wachs said that the board believes the ban “had its intended effect of promoting freedom of artistic expression at the national level.” He also noted that the Smithsonian has proven itself by presenting numerous exhibitions dedicated to underrepresented artists over the years. Now that the ban has ended, the foundation announced it will award its first grant to the Smithsonian. 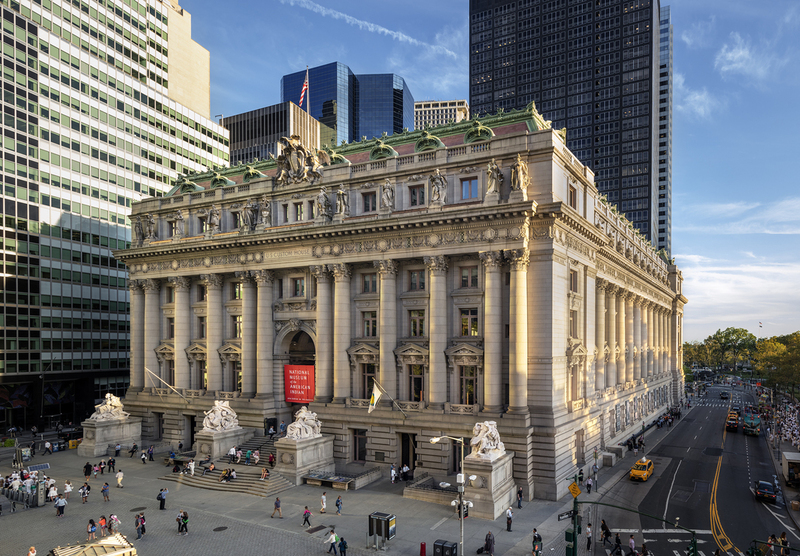 The National Museum of the American Indian (NMAI) in New York will receive $100,000 in support of a major Oscar Howe retrospective as part of the foundation’s 2018 fall grant cycle. The exhibition will include approximately seventy-five paintings, many of which will be on view publicly for the first time. Howe (1915–1983) was a member of the Yanktonai Dakota tribe, a pioneering student of Dorothy Dunn, and an outspoken critic of the narrow parameters imposed upon American Indian art.